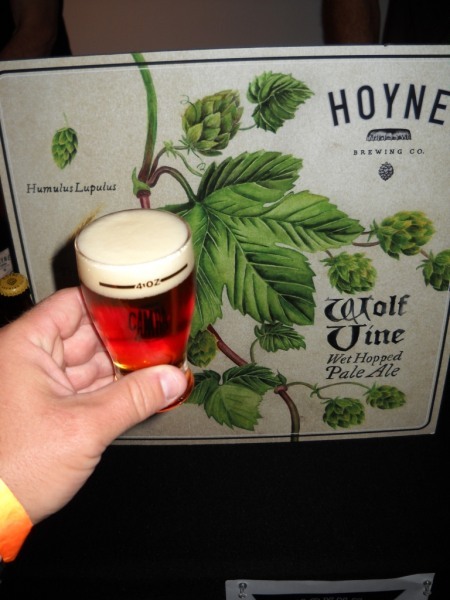 From Hoyne Brewing out of Victoria BC comes the “Wolf Vine Wet Hopped Pale Ale”. Most beer is hopped with dried hops but this beer was brewed with hops picked the day before hence the name. This beer pours an amber colour with a white head. The aroma of this beer is of floral hops, citrus, malts and maybe a bit of caramel. 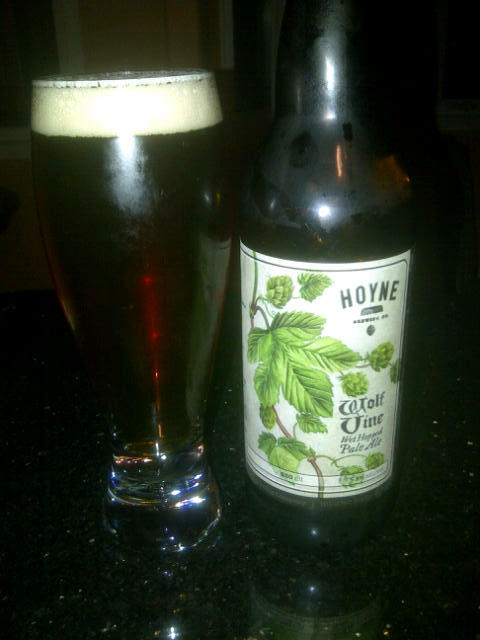 The flavor of the beer is a very floral but grassy hops, citrus with strong malt characteristics and a bit of caramel. This beer is very hopy but not very bitter. This must be a characteristic of the wet hoping but either way this is a very good beer! I really hope it becomes a seasonal brew and not a one time brew. The beer has an alcohol content of 5.3%. This entry was posted in Pale Ale and tagged bc, beer, bitter, bitterness, canada, caramel, citrus, floral hops, grassy, hops, hopy, limited edition, pale ale, victoria, wet hopped. Would love to try this one!!! Just have to find it in YVR! I purchased a bottle at Big Ridge Liquor Store in Surrey on the 4th of October at the corner of 152 street and highway 10. I think I also saw bottles at Bainbridge Liquor store in Burnaby as well. Hey alright! I was hoping you’d get to try this one. As for it becoming a seasonal, it might just. I talked to Sean Hoyne and his wife and they said that they could be doing it again next year, probably because of how quickly it went this year! I swear, they ran out of it on the kegs in less than a week. I was upset when I went to get my growlers filled! That would make me very happy as I loved this beer. I purchased a second bottle and have planned on holding onto if for a little bit. Maybe it will tide me over!